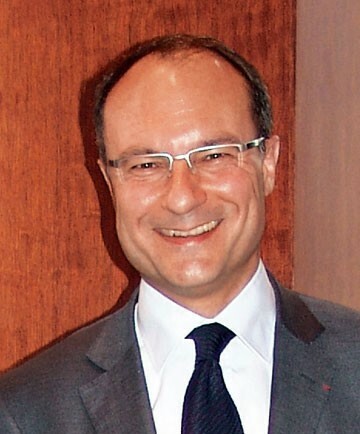 Olivier Bernard, President of the Union des Grands Crus de Bordeaux, has confirmed the success of the presentation of the 2012 vintage on the 9th, 10th and 11th of April 2013.
by John Stimpfig – Chateau Latour has just announced its 2013 release of ‘almost ready to drink’ wines, which are being offered for sale via negociants and global merchants. by Richard Woodard – Bordeaux’s 2012 wines will express finesse rather than power after a year in which the weather tested winemakers‘ nerves to the limit, producers say. 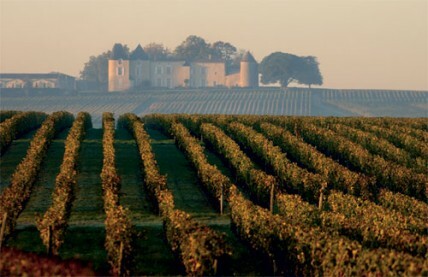 by Jane Anson in Bordeaux – Chateau Rieussec, the Sauternes estate owned by Domaines Barons de Rothschild (Lafite) has joined Chateau d’Yquem in announcing that it will not be making a 2012 vintage wine. by Chris Mercer – Chateau d’Yquem has pulled out of making a Sauternes in 2012 after the vintage failed a post-harvest taste test. The LVMH-owned Sauternes first growth confirmed to Decanter.com that ‚there will be no Chateau d’Yquem in the 2012 vintage‘. ‚This is a very difficult decision, but the tasting of the harvest confirmed that the level of quality is not satisfactory to become Yquem,‘ said chateau spokeswoman Valérie Lailheugue. The white grapes are already being vinified, whereas the harvest for the reds is just starting. The rain over the last few weeks has finally given some moisture to the vines and there are now ideal temperatures for ripening the grapes completely. The anticyclone that has brought the sunshine back to the vineyards of Italy is called Bacchus, like the god of wine and of the harvest. After the rains that brought a little relief to vines exhausted by the record-breaking temperatures of this summer, growers are returning to their vineyards to begin picking Lambrusco Salamino and the red grape varieties of the area around Piacenza in Emilia and to carry on with harvesting Albana and Sangiovese in Romagna. 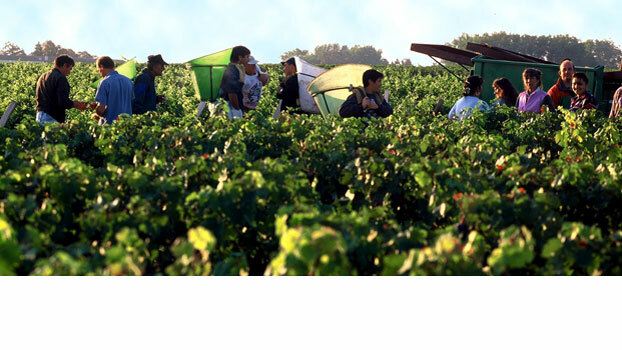 The hope is that significant differences between day- and night-time temperatures will allow the grapes to ripen fully, because in many zones the vines are considerably stressed following the seven anticyclones that – from June to early September -frequently took thermometers over 35°C (95°F), with less than 50 mm (2 in.) of rainfall. Sigi Hiss – Der komplette Twitter Text – HEADING BACK TO BORDEAUX NEXT WEEK TO TASTE 2011s-ABSOLUTELY NO INTEREST IN THIS VINTAGE IF MY instincts are correct – fährt in die Bordeaux Kampagne ein, wie Blitz & Donner. Das ist ein Vorab-Urteil, welches die Bordelaiser Weingüter ins Mark treffen könnte, Betonung auf könnte, Erschütterungen werden jedenfalls zu spüren sein. Apropos Blitz & Donner, zusammengefasst ein Gewitter also – ein (Preis)reinigendes Gewitter? Das wäre wohl allen willkommen, die Weingüter im Bordeaux mal außen vor gelassen. Gespannt bin ich, wie sich diese Aussage von Robert Parker auf die Bewertungen, Meinungen & vor allem auf die Subskription auswirken. Between December and February reigns over the technical team of Château Palmer a studious atmosphere conducive to making an exceptional vintage. The tasting sessions to prepare the final blend take place during this period. Magical moments, with measured gestures and refined palates, which allow us to imagine the final structure of Château Palmer and Alter Ego 2011. In order to maintain a certain distance and allow the different batches to continue ageing, the blend tastings take place in several steps. The lowest yields since 1961. 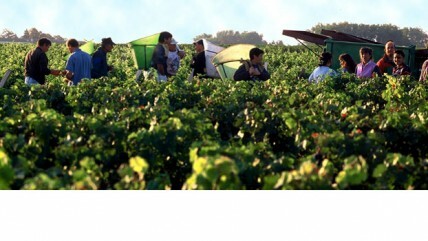 The 2011 harvest is marked by a limited production. Going back through our archives we found that it was the lowest yield since the mythical 1961 vintage (11.8 hL/ha versus 20hL/ha for 2011). We’ve registered high Oechsle degrees (Frühburgunder @ 89-97°; Spätburgunder @ <100°) as well as good acidity and pH values. During the last two weeks, pH values have stabilized and have hardly risen. In the Grosses Gewächs sites Sonnenberg and Schieferlay (Spätburgunder) and Hardtberg (Frühburgunder) everything – with few exceptions – we harvested is suitable for GG status. Because clusters are perfectly healthy, almost the entire crop could be harvested. As such, quantities are good; in some sites, even above-average. The young wines show very good color; aromas are rich – full-bodied, juicy. Status quo vintage 2011: healthy crop; good quantities; somewhat high must weights; acidity values are a bit too low; and terrific aromas. The speed with which ripening proceeded and must weights rose necessitated a rapid harvest. by James Lawrence – The 2011 Champagne vintage is being hailed as one of the most unusual in the region’s history, as vignerons deal with the aftermath of one of the most difficult growing seasons on record. by Adam Lechmere – The extraordinary weather patterns of 2010 have contributed to wines that are robust, concentrated and acidic – and ‚totally different‘ to the 2009s, Bordeaux negociant Bill Blatch says. whites – though the season wasn’t without significant challenges. This should mean ‚balanced, elegant wines‘, as Terry Hall of Napa Valley Vintners put it. by Cheryl Lincoln in San Francisc – Napa vintners are gearing up for one of the coolest harvests on record – and many are saying wines will be more balanced, elegant and lower in alcohol as a result. While grapes have been slow to ripen in the long cool growing season, vineyards have also been prey to a number of different hazards – like a heat spike in August – which have reduced yield significantly. But winemakers are sanguine: indeed, some, like Elias Fernandez at Shafer, and Ivo Jeramaz at Grgich Hills Estate, see the difficult season as a boon.